deSIGNery Sign Company is the #1 internet source for high quality four-color process decals. Our custom 4-color process stickers are printed using UV inks to insure you that your product will be durable with long lasting color and exposure to the weather will not be a concern. Always ask for samples when buying on line. You can request samples by visiting our contact-us page and clicking on the sample link. Four-Color Process printing allows for reproduction of color photographs and illustrations. Your decals / stickers are printed on your choice of pressure-sensitive white vinyl,clear polyester, white static, clear static, clear removable or white removable material using UV inks. Please specify material when ordering. Specify face or back adhesive. Face adhesive is printed only on clear materials. Other materials are available - email for pricing. Check out our Spring Sale for savings on Full Color Custom Printed Outdoor Stickers and Custom Stickers in the following link. 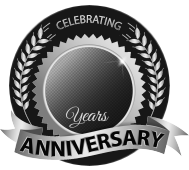 BBB Member since 2004 with a proven record of complaint free customer satisfaction on items like Full Color Custom Printed Outdoor Stickers. Click on the BBB logo above to check our record or leave a customer review. If you are in the market for Custom Stickers, give us a call today and you will soon realize why after 24 years we still have an A+ BBB rating! All of the above names are just different terms of the same printing process. The important thing is that if the product is going to be used out doors or for long term use and subject to abrasion, be sure that your custom vinyl decals are printed using UV inks. 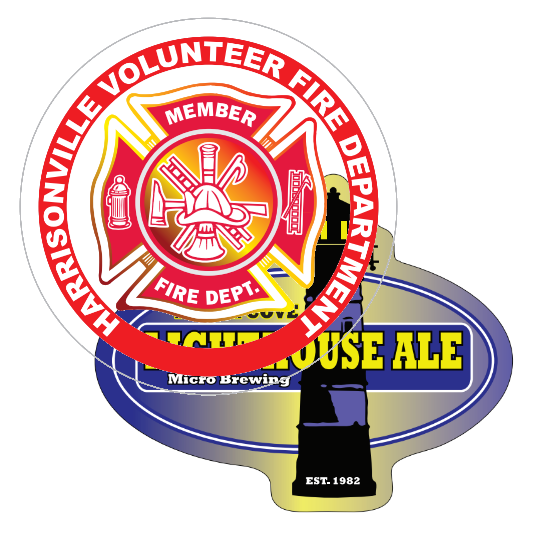 Different applications often require different materials and our full color custom die cut stickers has a plethora of use and many materials for that special application you have in mind. White Vinyl - our most popular custom stickers. Clear Polyester (Face Adhesive) - Generally used on the inside of windows and viewed from outside. White Static Cling Material - no adhesive. Clear Static (Face Adhesive) - Generally used on the inside of windows and viewed from outside with the illusion of no background material. Clear Static (Back Adhesive) Awesome product for logos without the expense of custom cut decals. Clear Removable (Face Adhesive) - Same applications as above but can be easily removed. Clear Removable (Back Adhesive) - Same applications back adhesive above but can be easily removed. White Removable Vinyl - Easy on and easy off - no glue left behind. Uses for Full Color Custom Printed Outdoor Stickers are schools and athletic teams to show support or recognition. Organizations use custom die-cut decals to identify company mottos or product lines or as souvenirs from special events. Clubs often use custom stickers for fundraising activities. Manufacturing businesses use outdoor full color decals for labeling, warning labels, OSHA signage and to draw attention to the company name.